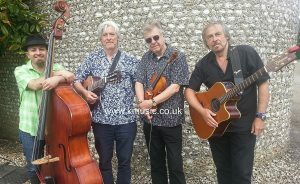 Jazz Guitar Duos have become an increasingly popular alternative to the regular ‘jazz standards ensembles’ that we are so often used to hearing at parties, dinners and wedding receptions. As regular performers at major festivals, their music has been enjoyed by many audiences across the country and abroad. As an extension to the regular duo, the guitarists frequently team up with a violinist and double bassist, recreating the sound of the Hot Club De France under the name of Jazz Cafe. means that a number of styles are covered in an average performance, with recreations of Reinhardt/Grappelli interpretations especially popular. 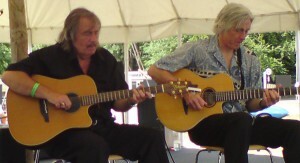 As well as delivering fine performances, the Duo are also experienced in presenting Guitar master classes which feature demonstrations of different styles and techniques.